Present short, powerful and winning. Affect, touch and elate your listeners. Activate the module of gratification in your client's mind. Win the fight for clients and qualified personal with stunning presentations. 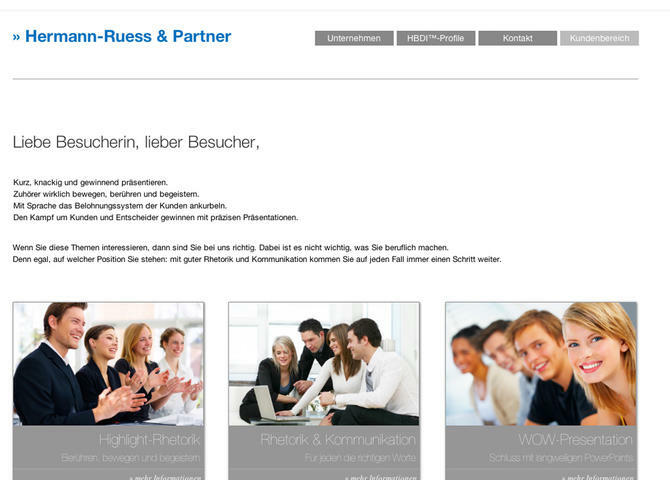 Visit Hermann-Ruess & Partner - Coaching.